It is a well-known fact that almost all modern engines of today use a fuel injection system to deliver fuel directly to engine combustion chamber. Delivering the fuel in this way allows for improved engine efficiency which results in less pollutants and better fuel economy. 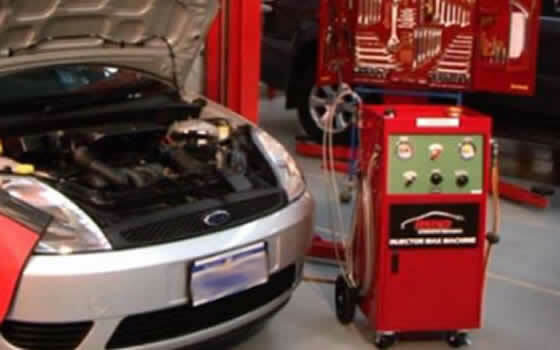 Modern engine tuning today is typically done automatically and controlled by the engine management system which manages correct fuel / air ratios of fuel through the fuel injection system. Due to the location of the fuel injectors, on today’s modern engines, fuel injectors get heat soak when the engine is turned off. The engine heat causes fuel evaporation at the fuel injectors, resulting in gum, varnish and tar deposits accumulating around and on the fuel injector nozzles. This together with carbon accumulation from poor quality carbon based fuels will cause imperfections in the fuel injector spray pattern and in some cases cause fuel injector blockage. 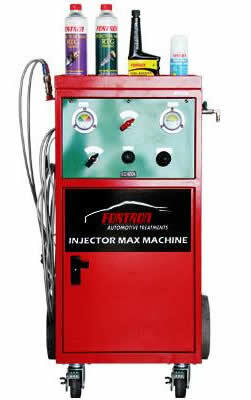 Servicing of injectors used to mean having to remove the injectors, which can be time consuming and costly. But, regular services of the fuel rail and fuel injector system, by the Fortron Injector Max equipment will remove these unwanted deposits and ensure engine efficiency and reliability. Fortron Injector Max will remove all deposits from the fuel rail through to fuel injectors without damaging the engine, fuel pump and fuel lines. This will give instantly recognisable results to power and fuel efficiency and return your vehicle to how it used to feel when it was new. Fortron Injector Max service is for all vehicles with fuel injection systems, either petrol or diesel and costs £50.00 when you buy an interim or full service from D&G Autocare. We’ve had such good results from our trials, of this equipment, that we have “Maxxed” all of our own company vehicles knowing that we will save money on fuel and repair bills. For a quieter smoother, cleaner, fuel efficient and more responsive engine Fortron Injector Max servicing is a must for your personal vehicle. For a quieter smoother, cleaner, fuel efficient and more responsive engine – Fortron Injector Max servicing is a must for all your business vehicles.